Dr John Glees was born in Oxford in October 1941 during the 2nd world war. His father, Dr. Paul Glees was a professor in anatomy, neuroanatomy, and physiology in Oxford. His mother, Dr. Eva Glees was a dental surgeon. After schooling in Oxford, John trained as a medical student in Bonn, Oxford, and Goettingen in Germany. Being bilingual in English and German, Dr. Glees qualified in 1966 in Germany with first class honors and in 1967 obtained his Medical Degree with a dissertation on Glioblastoma Multiforme. He then moved to the United States to continue his medical training. From 1968 to 1971, he trained at Monmouth Medical Center in New Jersey, in affiliation with Hahnemann Medical School. During his time at this hospital, the radiation therapist committed suicide using a gun from his own collection, so John was asked to work in the radiation department! 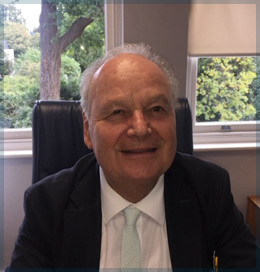 John returned to the UK as Senior House Officer (SHO) in 1971, then Registrar and then Senior Registrar at The Royal Marsden Hospitals in London & Surrey. He obtained his DMRT, London, in 1974 and FRCR in 1976. He was appointed as Consultant Clinical Oncologist/ Radiotherapist to The Royal Marsden and St Georges Hospital Medical School in London in 1981. John retired from NHS in October 2010, after nearly 40 years of continuous service, where he mainly treated GI, GU, lung, breast and skin tumors in a varied and very busy practice, which he enjoyed enormously. In addition, John treats benign diseases with superficial radiotherapy, one of the few Consultants with an interest in benign diseases, as such receiving referrals for most cases of non-malignant tumors. Since 2010, John has continued to work exclusively at Cancer Centre London Parkside in London, UK. His interest in Keloids extends for over 40 years. He has worked with dermatologists and plastic surgeons from throughout the London area and further afield. Often his success and good results were relayed from patients to patients, especially via the many Caribbean nurses suffering from ear Keloids as a result of piercing. John is an advocate of “immediate post-operative 10Gy single dose” radiation therapy, using 60KV orthovoltage, to the keloid scar as opposed to split dose radiation therapy, 3 separate doses, that used to be a norm 25 years ago. Single dose treatment is also more convenient for both patient and clinician! He has achieved excellent long-term results at all keloid sites. At the International Keloid Symposium, John will share his four-decades of experience in treating keloids as well as his alternative Keloid treatment protocol using superficial radiotherapy treatment, using one treatment dose of 4Gy every 3 months over 1 year (to a total of 4 doses, only if all 4 are clinically necessary) to this particular group of Keloid patients.